Paper Daisy Crafting: 5 days to go and more Party Pandas! 5 days to go and more Party Pandas! There really are now only a few more days to take advantage of the Sale-a-bration. 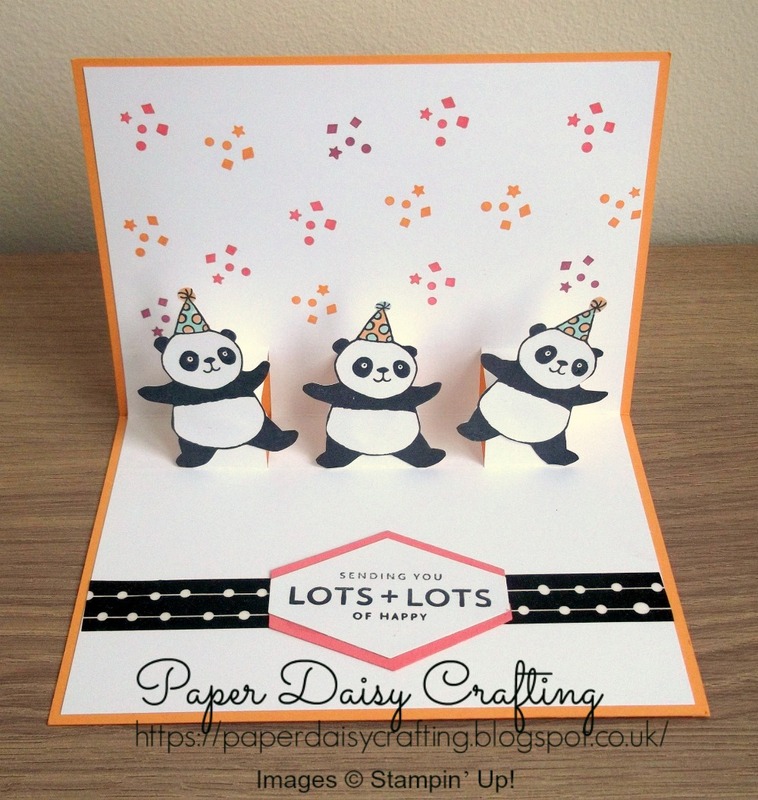 And so only a limited time to get your hands on these super cute pandas! 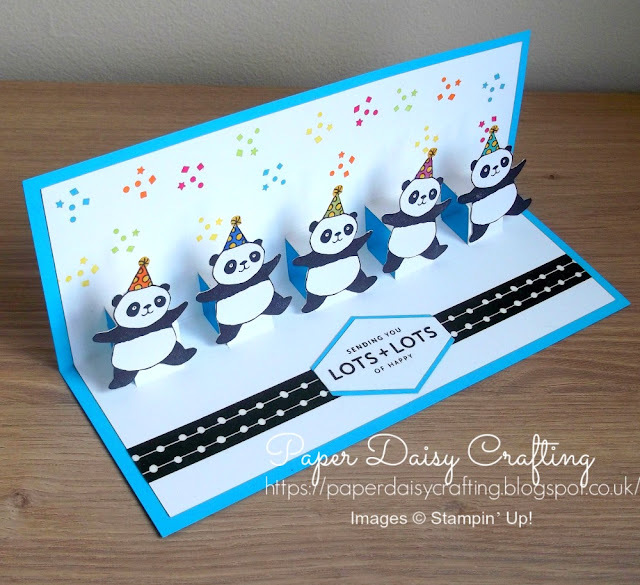 This is a variation on my previous "dancing pandas" card. 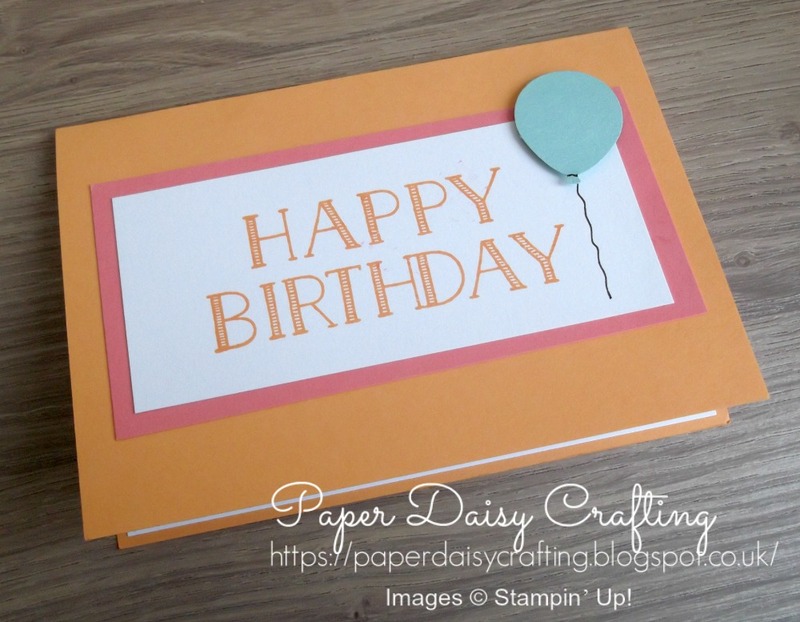 I changed it up a little and this is the third and final card we made in my card class a few days ago. I must admit the ladies were a bit anxious about making this card when I showed them the sample but in the end they all did a fantastic job! 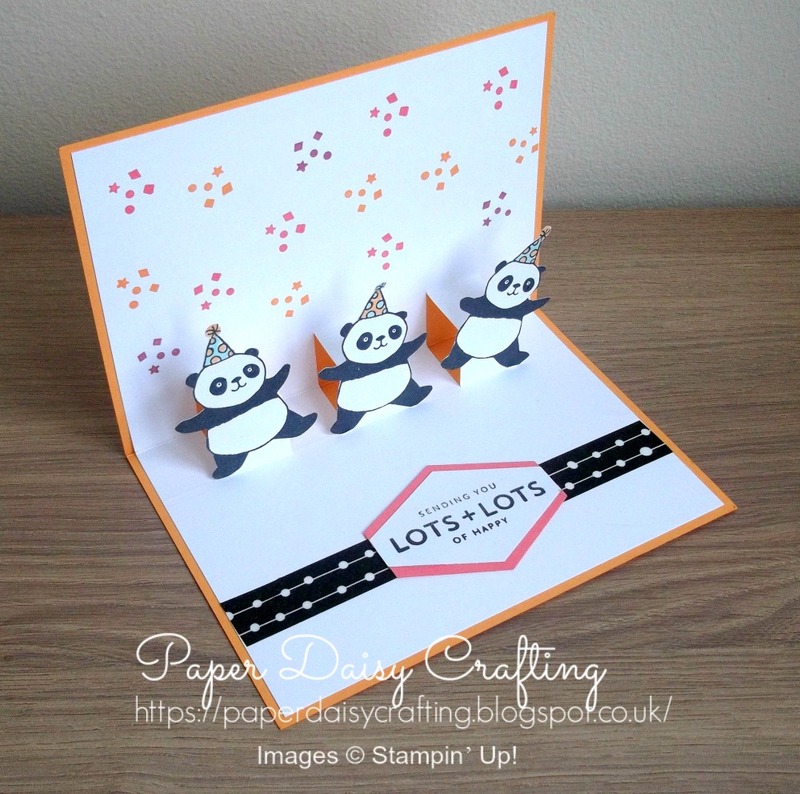 I also changed the front of the card so that the pandas inside were a complete surprise! If you'd like to see how I made it, just click HERE or on the image below. Back soon with one more project using FREE Sale-a-bration products. Don't miss it! !